My mom is getting to the point where she can't be with any groups of people. It doesn't matter if its 2 or 30 she gets very upset. 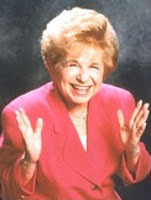 Our reader Wanda asks Dr. Ruth. Q. My mom is getting to where she can't be with any groups of people. It doesn't matter if 2 or 30 she gets very upset. Seems like it is all the noise but not for sure. She can't go to Walmart anymore with out a break down there and on way home. A. Let me say a few things about this. 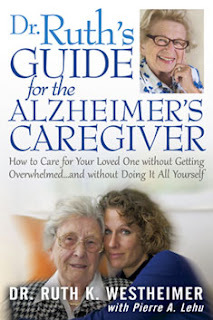 First, people with Alzheimer's go through stages, much as young children do. So it's possible that after a time she might get over this, so it would be worth testing it once in a while to see if she is still feeling this way. Also you said you think it's the noise that bothers her for some reason. You could have her hearing tested, as maybe she has a type of hearing disability where lots of noise is confusing. I believe that's why President Clinton had to get a hearing aid. Perhaps you could do some experimenting, if she'd let you. For example if you had some people over and you put some ear muffs on her, just to see if it helped. Or, what if when you had people over she was in another room either watching TV or listening to music she likes via headphones? For the latter she could even be in the same room as your guests or wear the headphones while going shopping with you. I'm not saying that such tactics will definitely work, but it seems to me they would be worth trying. So that's one track to follow, to see if there aren't some practical ways to alleviate the problem. The other is to make absolutely certain that this doesn't force you to live in solitude. Obviously your mother is always with you but she's no longer a complete individual and so really not that much company. But you need the company of other people. So you need to find either hired help or volunteers who will take care of her so that you can do social things. If you're always alone you're going to become depressed, and if you're depressed, there's a good chance that you'll be come physically ill, because depression will weaken your immune system. In order to be the best caretaker you can be, you have to take care of yourself too. So don't sit quietly by bemoaning what is happening but take action so that you can maintain a social life.